How To Do A PowerPoint In Mind Map | Download PowerPoint Mindmap now! ConceptDraw MINDMAP is an advanced tool for making PowerPoint presentation from mindmaps. You can simply generate, change, update your mind map and then export it presentation to a PowerPoint. Sample 1. Mindmap presentation - Marketing research project. Presentation Exchange solution extends ConceptDraw MINDMAP software with the ability to export mindmap presentations to Microsoft PowerPoint, as well as enhancing its existing presentation capabilities. 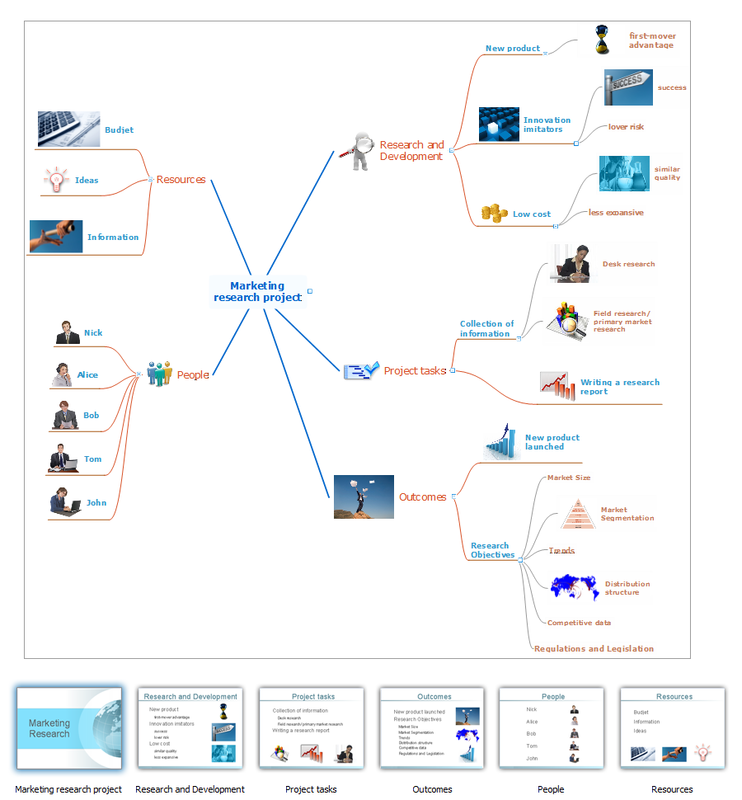 ConceptDraw MINDMAP v10 is an advanced tool for making an effective PowerPoint presentation.